Boat Engine Parts - Top 10 Online Stores Review! Boat Engine Parts – Top 10 Online Stores Review! Equipping your boat’s engine with the best parts can ensure you receive long term performance from your ride. To accomplish this, you’ll want to comparison shop as this will allow you to compare power boat manufacturers to see which boat engine parts are the best. The internet is the best way to do this as you can see all the top brands and types like Yamaha boat engines and diesel marine engines. Further, you can compare prices so you can receive the best deal on your parts. 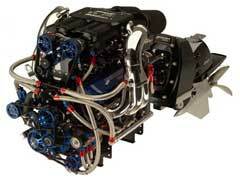 Here is a look at the top ten online retailers that offer boat engine parts. 1. Wholesale Marine is a great website in that they carry a diverse selection of equipment from all the top brands. They also offer a lowest price guarantee where if you find a price of one of their accessories at another store cheaper, then they will match that price. 2. Marine Engine is a good resource in that they sell boat engine parts and are a great educational resource for owners. They include diagrams and boat motor manuals, which is a great way to learn more about your ride. 3. Another good website to visit is iboats as they have a huge selection of parts for everything from small power boats to larger models. Additionally, they offer many boat maintenance items like additives and gaskets so you can regularly service your boat. 4. Discount Marine Supplies boasts great prices and a huge inventory of everything from engine parts to fenders and bumpers. They are a good place for many people to go as they can ship to over 100 countries internationally. 5. Amazon is also a good place to find boat accessories. Their inventory is diverse and often times shoppers can find great deals on parts through them. 6. Basic Power has many items boat owners need and they do a great job on their website with navigation. They accomplish this by “The List” where you can find items alphabetically. 7. Performance Product Technologies has an extensive selection of boat equipment ranging from cooling systems to complete gasket kits. Further, their service is exceptional as they have over 25 years of experience assisting boat owners. 8. Boat Bandit is more than a cool name. They are a one stop shopping resource as they have an inventory that contains boat engine parts, repair manuals and nautical charts. 9. Boat Fix offers customers competitive prices on all of their equipment. Best of all, they make the process easy with their help desk feature, which can assist you with any questions you may have. 10. Go 2 Marine designed their website to make the shopping experience easy for owners. Their navigation is clean and you can search for your parts by manufactures, making this an expedited process.